Currrently working on this gorgeous pattern. I’m a lot further along than in the photo, but haven’t gotten a chance to take more. The first sleeve is almost done, and I can’t wait to finish the second. It’s coming along a lot quicker than I thought it would. 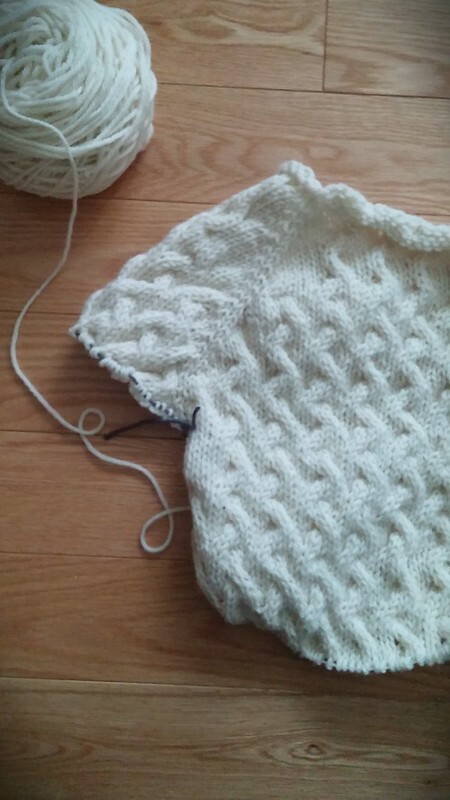 The cables are so much fun to knit. This entry was posted on September 24, 2014 by debbe. It was filed under craft and was tagged with knitting, ravelry, rocky coast, sweater, wip.